It has been noted by many that John Burke has toured more real estate in upstate New York than any other Realtor. John joined Berkshire Hathaway HomeServices Blake, REALTORS® in January of 2018 to help build The Luxury Collection for the brand, and to offer a complete real estate solution to clients at all price points on the residential, luxury or commercial ends of the real estate spectrum. Bringing together his past experience building a successful luxury brokerage from the ground up has given John a unique view of Upstate New York real estate and offers a tremendous advantage for his clients. Local knowledge, a global presence, and armed with the resources of the World's most respected brand, John and Berkshire Hathaway HomeServices are Good to Know™! John was one of the founding members of Select Sotheby’s International Realty, John was the President and CEO of the company from its inception until July of 2015. Under his tenure, the company grew from a startup stage to $120M in annual sales, with 55 agents, 3 Offices and 8 support staff members. In that capacity, John had the distinct privilege of touring properties throughout upstate New York. John now uses this unparalleled knowledge of one of a kind properties to guide clients in the purchase or sale of their primary residence or vacation home as an Associate Broker for the firm allowing him to focus exclusively on his clientele as both sellers and buyers. Prior to founding Select Sotheby's International Realty, Mr. Burke served as the Managing Director for the New York division of Core BTS, Inc. (Core), a national technology solutions provider and Executive Vice President for Open Systems, Inc. an acquisition corporation whose mission was to identify top level, profitable, technology solutions providers in the United States that were candidates for consolidation. John currently owns and operates VISTACO LLC, a strategic management consulting firm focused on Opportunity Management™. He served as Vice President and Board Member for Hannah's Hope Fund for GAN from 2009-2013, a local charity from Clifton Park, NY. John is a native of upstate New York, graduating from Shenendehowa High School in Clifton Park and Siena College in Loudonville, with a Bachelor’s Degree in Business Administration, concentrations in Marketing and Management. John resides in Saratoga Springs. He spent childhood summers at Camp Chingachgook on Lake George and continues his passion for Lake George with his family from “ice out through foliage”. John is an Associate Real Estate Broker in New York State and a Certified Negotiation Expert. Through knowledge, expertise and integrity he gets his clients the best possible result in each transaction. 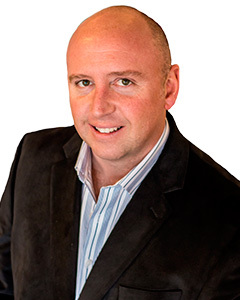 John’s entrepreneurial mindset combined with his strong technology background, acute business acumen and proven track record of real estate success make John THE AGENT to partner with for any real estate transaction in upstate New York.